Acne can occur on the body for the exact same reasons it appears on the face; bacteria, build up of dead skin cells and over-active sebaceous glands. It’s also more susceptible to external causes such as sweating or irritation from products. Our SkinBase therapist group told us, for their clients, the back and chest are most commonly affected, and for men, the back of the neck can also be an issue. Establishing the underlying cause of acne before treatment will help to devise a treatment plan and also help to ensure the acne doesn’t return. 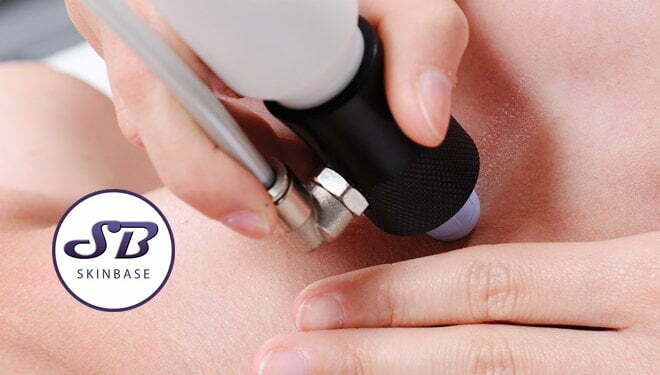 SkinBase IPL is particularly effective as it not only treats the spots it also kills the spot producing bacteria on the skin, preventing further outbreaks. 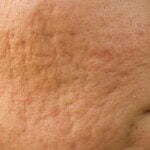 IPL is one of the safest and most convenient acne treatments available. It is pain-free with no downtime. Results are seen quickly, we recommend a course of 3-4 treatments for treating body acne at 2-3 week intervals for the best results. Leesa Keys, who developed SkinBase’s training courses for IPL and MD says; “The best results come from a course of IPL followed up with a course of microdermabrasion. IPL to kill bacteria, reduce inflammation and prevent the overproduction of sebum. MD to unblock pores and clear congestion. Both treatments will stimulate collagen and elastin production, improving the skin’s appearance and achieving brilliant results for the client”. Using the correct products for skin type can make all the difference to the client’s results. Their day-to-day skincare routine can be counter-productive if the products used are unsuitable. It can actually make the condition worse rather than better. Ensure your client is using suitable products to help get the best results from a course of treatments. 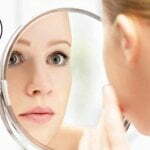 Acne – What causes it and how can IPL treat it?